Waste biomass includes agricultural residues, livestock wastes, municipal wastes and industrial organic wastes. It should be utilized or otherwise, it will cause the pollution of water, soil and even the atmosphere. Gas biofuels have attracted growing attention as a renewable and clean energy carrier. Gas biofuels include biogas, biohydrogen and its mixture i.e. biohythane, which can be produced via anaerobic fermentation or other processes from waste biomass. This book focuses on the principles of gas biofuels in terms of types of biofuels, biomass species, and reactor configuration and production pathway. A number of books focus on the production of biogas or biohydrogen alone. In comparison, this book emphasizes the interactions and common knowledge of both. In addition, the potential of new technologies, such as microbial electrochemical technologies, and two-stage fermentation on gas biofuel production are highlighted and specifically discussed based on the authors’ research basis. This book provides a state-of-the-art technological insight into the production of gas biofuels from waste biomass. Specifically, this book consists of three parts. In Part I, the principles for gas biofuels production from waste biomass, including biogas production (Chapter 1) and biohydrogen production (Chapter 2). Part II focuses on the technical advances on gas biofuels production. 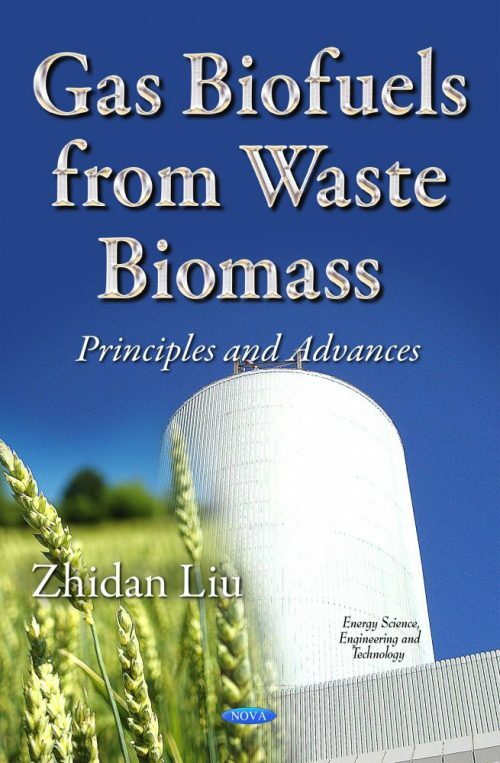 Pre-treatment of biomass was firstly introduced in Chapter 3, whereas the advances of biogas production from high-solid wastes were discussed in Chapter 4 and Chapter 5. In comparison, biohydrogen production is reviewed not only through dark fermentation (Chapter 6) but also emerging microbial electrochemical technology (Chapter 7). The co-production of biohydrogen and biomethane is reviewed in Chapter 8. In addition to the utilization of carbon and hydrogen stored in biomass, nutrients recycling through algae technology is discussed in Chapter 9. Part III discusses the scale-up and industrialization of biofuels. An industrial case is introduced to analyse the bottlenecks and perspectives for development of gas biofuels.